Ford has developed a new concept that will help maximise the driving range of the brand’s future EVs. 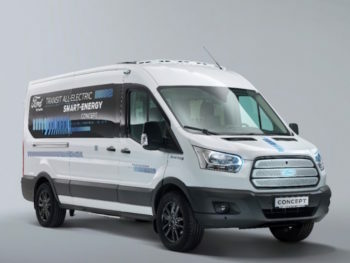 Demonstrated for the first time at the manufacturer’s ‘Go Further’ event last week in Amsterdam, Netherlands, the Transit Smart Energy Concept 10-seater minibus counters issues with traditional heating systems which Ford says can reduce electric vehicle range by up to 50% alone. The issue is worse for multi-occupant vehicles such as minibuses, compared to goods transport vehicles, as they require significantly more energy to create a comfortable temperature for occupants. Developed by engineers at Ford’s Merkenich Technical Center, Germany, the Transit Smart Energy Concept uses the same drivetrain technology as the StreetScooter Work XL commercial vehicle, and a Transit chassis fitted with a battery-electric drivetrain for zero-emissions driving, plus a range of new range of technologies to help deliver a 150km (93-mile) driving range from a four-hour charge. Innovations that enhance energy efficiency and driving range include a heat pump system that reduces heating system energy usage by up to 65%, resulting in a range extension of 20%. Other concepts also being tested include a smart device activated power door, solar panels and subliminal mood lighting that influences passengers’ perception of cabin temperature. 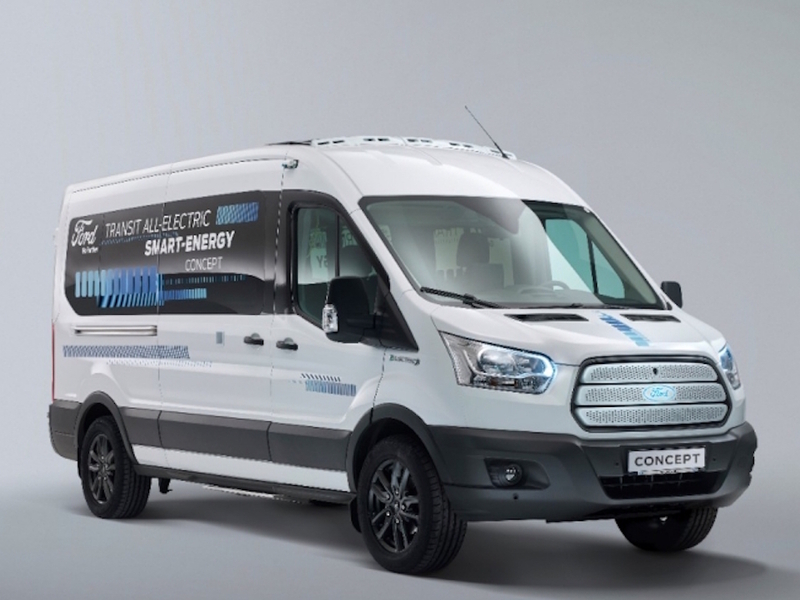 Ford anticipates beginning road-trials with the Transit Smart Energy Concept later this year after completing wind-tunnel tests in line with its plans to launch a range of electrified vehicles. Earlier this year, the manufacturer announced that every Ford nameplate from the all-new Focus onwards will include an electrified option. This includes new nameplates and new versions of existing vehicles; last week’s event also saw the unveiling of an all-electric Transit van anticipated for volume launch in 2021 as well as the plug-in hybrid Kuga.